An exaggeration, perhaps. Still, Matt Baillie Smith and Katy Jenkins’ candid discussion of the history and present condition of the project from which their paper, ‘Existing at the Interface: Indian NGO Activists as Strategic Cosmopolitans‘, developed is remarkably refreshing. The paper, as they explain, uses life history narratives to explore the multiple and overlapping scales and sites through which the cosmopolitan subjectivities of activists in Indian NGOs are constituted. Neither elite nor subaltern, how the positioning of these ‘intermediate’ activists shapes their subjectivities in diverse ways over time and place is explored, drawing on the idea of a ‘strategic cosmopolitanism’ to consider their negotiations of development and global civil society. In their discussion below, Matt and Katy sketch out the paper’s content before anatomising their fieldwork practice, the problems they encountered, and – most importantly – how working through these led to new questions and research openings. 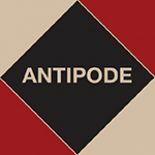 This entry was posted on 26 July 2012 by Antipode Editorial Office in Video Abstracts and tagged activism, cosmopolitan politics, cosmopolitan strategies, cosmopolitanism, development, elite, Existing at the Interface, global civil society, India, Indian NGO Activists as Strategic Cosmopolitans, intermediate NGOs, interviews, Katy Jenkins, life histories, Matt Baillie Smith, NGOs, non-governmental organisations, scale, strategic cosmopolitanism, subaltern, subjectivity.